“There were more Dancers than the Room could conveniently hold, which is enough to constitute a good Ball at any time.” - Letter to Cassandra Austen. January 9, 1799. 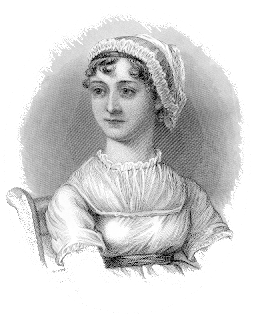 We know how important dance was to young people in Austen’s time and to Jane Austen herself. Please celebrate Jane Austen’s birthday with us this December as we host a dance of our own! Our favorite English Country Dance expert Carol Kopp is returning to lead us in the steps. We will have live period music and we have asked Carol to extend the invitation to her friends to ensure that there will be some people at least who will go in the right direction. Take this opportunity to try dancing as it was done in Austen’s time without fear. No need to dress in fancy gowns (but you may if you wish). Casual and comfortable is fine. Flat or athletic shoes are fine too. No worries if you are as clumsy as Mr. Collins (and some of us are!). For those who do not intend to dance, we will find a corner for a card table with instructions for the card games mentioned in Austen’s novels. This is our annual Jane Austen Birthday meeting. We will have birthday cake and a toast to Jane Austen. To help us plan for the refreshments, RSVP by email (jasnaonc at gmail) or phone is requested, but not required.